Is it refreshing to know that Jodie Foster feels like a failure? Or is it depressing? Is it liberating to know she grapples with inadequacy? Or does it make you want to lie down and pull a newpaper over your face and take a real long snooze? She’s had a few awards, and directed and acted in a couple of things you might want to forget. (“Tay-ay in the wiy-yind,” anyone? *) But I think we can all agree that she is a big fat success. She's a success not just because of her achievements, though, Readers. She's a success because she keeps on working, even when the outcome is "The Beaver." Or "Nell." Wow. 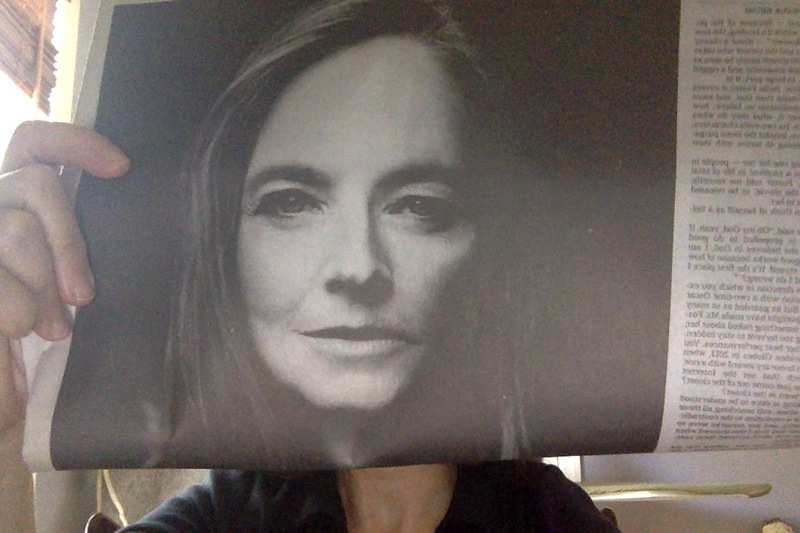 I have something in common with Jodie Foster after all. Along with having no face work done. And highlighted hair. And being, as they said when I tried on wedding dresses, "low to the ground." I can relate to the failure thing. But where Jodie and I differ is how failure operates on us. Apparently it propels her towards outstanding acting and awards; me, well, I go to therapy. And I blog. And write books, apparently. So. Yeah. The lesson is clear. She says she funnels her sense of failure into proving herself worthy through good work. I think that’s an excellent idea. I pass it on to you for your contemplation, Readers. What are you funneling your existential despair, fear of failure, and sense of inadequacy into? Binge-eating? Depression? Or action? The other day I came across something I typed up while killing time during my first job out of college. I was a receptionist in a law firm. Oh, my God, was that boring. When the phone wasn’t ringing, I performed calisthenics behind the desk. I also, apparently, read quotes from Marianne Williamson and typed them up for my amusement. Our deepest fear is not that we are inadequate. Our deepest fear is that we are powerful beyond measure. It is our light, not our darkness that most frightens us. We ask ourselves, 'Who am I to be brilliant, gorgeous, talented, fabulous?' Actually, who are you not to be? You are a child of God. Your playing small does not serve the world. There is nothing enlightened about shrinking so that other people won't feel insecure around you. We are all meant to shine, as children do. We were born to make manifest the glory of God that is within us. It's not just in some of us; it's in everyone. And as we let our own light shine, we unconsciously give other people permission to do the same. As we are liberated from our own fear, our presence automatically liberates others. ― Marianne Williamson, A Return to Love: Reflections on the Principles of "A Course in Miracles"
I found that inspiring, as I recall. It was a nice one-eighty from what I usually considered my deepest fear. I read that passage and wondered was my deepest fear really that I was powerful? Because it really did feel like it was that I was inadequate. Basically, my inner child really needed to hear she was special. And people just were not lining up to tell her. So I was trying to amass proof. The problem with the constant seeking of proof of specialness is that it runs right up against this idea of the growth mindset. Thanks to Carol Dweck, we are no longer allowed to believe in the limits of our intelligence. Nothing is fixed. All is potential. How lovely to be annointed a special one, with a special intelligence or a special something or other that makes success inevitable. But, really, is that possible? Isn’t seeking that type of assurance the same as having a fixed mindset? It’s the same kind of mindset that believes that you have to have a particular makeup in order to succeed, so you spend your time trying to prove to yourself that you do have It. Instead of pursing your goals. Yes, you are special. So am I. We are all special. And yes, therefore, nobody is actually special. 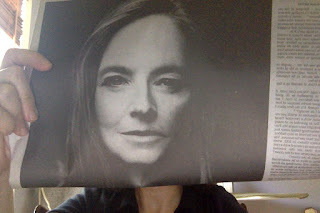 Not even Jodie Foster. She's not special-special. ** You’re not special-special. Isn’t that ok? What might be special, however, is the work you produce when you try to transcend yourself. Or just to express yourself - which is what I hope for, nothing more, really. Samuel Johnson (1709-1784), who would have been a blogger, battling Montaigne for followers, if the Internet had existed back when he did - and if he and Montaigne had lived at the same time - had this to say about success and despondency: "From torpid despondency, can come no advantage; it is the frost of the soul, which binds up all its powers, and congeals life in perpetual sterility. He that has no hopes of success, will make no attempts; and where nothing is attempted, nothing can be done." So I guess another thing I have in common with Jodie is that fear of failure, which is really just the hope for success dressed up in drapey black clothes and goth eyeliner. *That’s from “Nell,” which, interesting to me, Jodie’s mother told her not to do. Just mentioning that because my authority as a mom is about zilch these days, what with two teenagers. Jodie might have listened to her mom. But, no. Anyway, it was a learning experience, I’m sure. ** I'm sorry, Readers, but I just can't do it. I actually think Jodie Foster is pretty special. Call me a hypocrite. I can take it. Well, I can't - but I'll discuss it with my therapist.